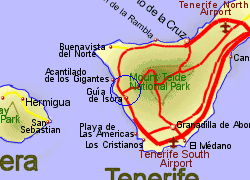 Situated on the west coast of Tenerife with the main town being 5Km inland and 600m above sea level, Guia de Isora lies 60Km southwest of the islands capital, Santa Cruz de Tenerife. Much of the around to town is covered with lava eminating from the 1909 eruption of Mount Teide though this is now being re-colonised by plants, including pine trees. Land nearer the coast is used for crop production, some of which are produced under plastic. 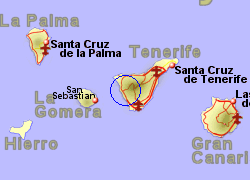 The municipality includes the resorts of Playa de San Juan and Alcalá. Playa de San juan is a popular family resort with 2 beaches, a fishing harbour, and a good selection of restaurants. 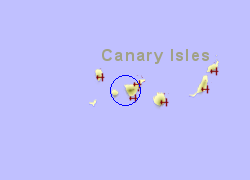 Map of the Guia de Isora area. This 1 bedroom apartment with swimming pool is located in Acantilados de Los Gigantes and sleeps 3 people. The apartment is walking distance away from golf and beach.